6 Reasons for Fully Including Children with Special Needs in the Regular Classroom | Thomas Armstrong, Ph.D. 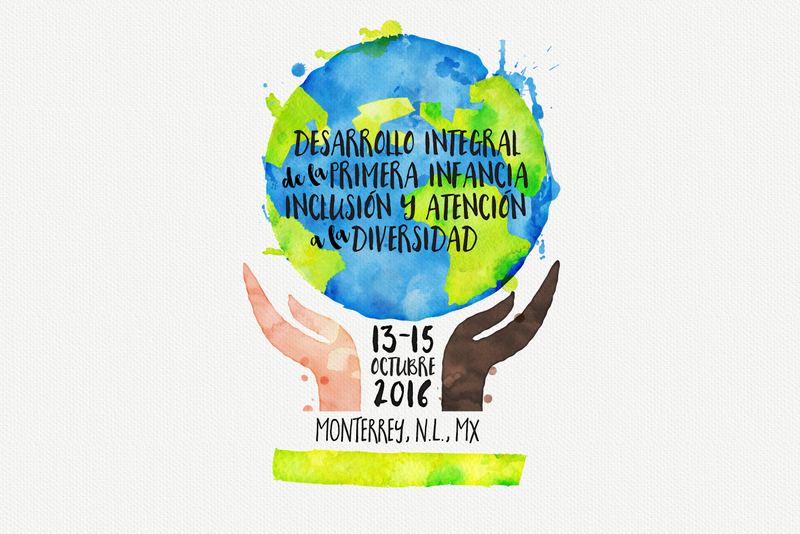 This is a presentation I made at the 16th Encuentro Internacional de Educacion Inicial y Preescolar in Monterrey, Mexico on October 15th, 2016, which focused this year on inclusion and diversity. The event was sponsored by an exemplary early childhood education program in Monterrey called CENDI (Los Centros de Desarrollo Infantil del Frente Popular “Tierra y Libertad”), which provides low income neighborhoods with prenatal counseling, parenting classes, day care, preschool classes, medical care, nutritional advice and more (there are CENDIs in other locations in Mexico as well). Speakers from all over Latin America, the U.S. Canada, China, Finland, Iceland, Spain, and Australia gave presentations. No one likes to be excluded from a group. 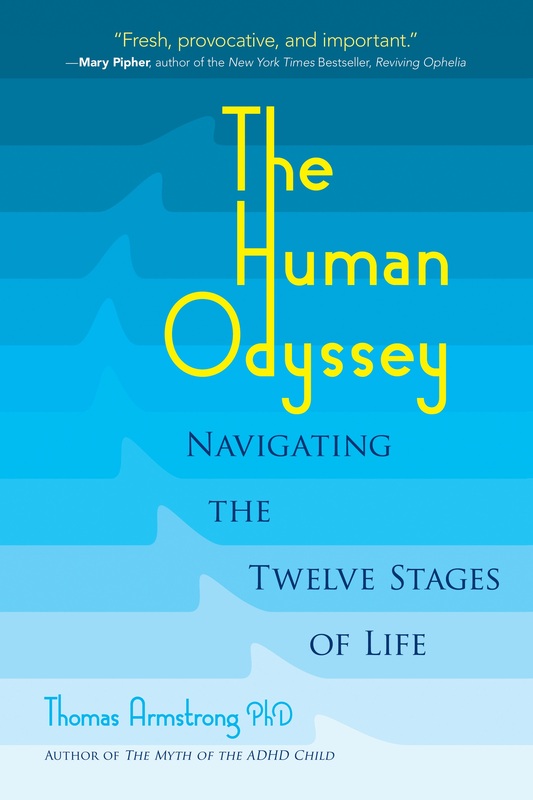 Think back to your own experiences from childhood or adolescence. Perhaps you weren’t invited to a party you wanted to go to or were rejected by members of a social group that you admired and wanted to be part of. To be excluded from a social group can bring up feelings of isolation, anxiety, doubt, confusion, humiliation, loneliness, and sadness, among many other painful emotions. Knowing this, it is tragic to learn that most of Latin American children with disabilities are excluded from being part of a normal school program. According the Inter-American Development Bank, children with disabilities are among the most marginalized populations in all of Latin America with only around 20% to 30% of children attending school and with most of these students never graduating from high school. Having a disability can be a greater obstacle to education than being poor. The mandate is clear: children and adolescents with disabilities have the right to be part of regular classroom programs, to have reasonable accommodations made for them, and to have ‘’effective individualized support measures . . . in environments that maximize academic and social development, consistent with the goal of full inclusion.’’ In this paper, I would like to outline several ways in which this important goal can be actualized. First, though I’d like to share a few reasons why it is important to include children with disabilities into the mainstream of our school systems. Including children with disabilities in regular classrooms is important not simply because the United Nations says it is so, nor because it seems morally right to do so. Rather, there are some fundamental reasons why integrating students with disabilities into the mainstream of education improves the learning outcomes for all children. 1. Students with disabilities add to the diversity of the classroom. Diversity enriches our lives. Biodiversity adds new medicines, cultural diversity provides new ideas, and what I’m calling ‘’neurodiversity’’ adds new possibilities that make for a more interesting classroom. How boring it would be if every student looked and acted the same in school! 2. Students with disabilities bring new strengths into the classroom. Unfortunately, all too often we focus on what children with disabilities lack when we should be paying attention to what they do well. New research is emerging on a yearly basis regarding the many strengths of those with disabilities including high spatial ability for many kids with dyslexia, creative thinking in students with ADHD, systemic capabilities (such as excellence with computers) among those with autism spectrum disorders, and personal charm and human warmth in many students with intellectual abilities such as Down syndrome. 3. Students with disabilities help promote a climate of giving in the classroom. The autistic daughter of anthropologist Roy Richard Grinker was fully included in the Smithsonian Early Enrichment Center in Washington, D.C., and her teachers commented: ‘’It’s not just that Isabel introduced diversity into the classroom. . . Isabel made the other children less selfish.’’ When Isabel was absent, the students were more competitive and irritable, but when she returned, they returned to a more giving attitude toward each other as well as Isabel. Similarly, students with special needs can humanize any educational environment by sending a message to students that we all need to pitch in to help each other out in life. 4. Students with disabilities do better when in a setting where more is expected of them. We know from the “”Pygmalion in the Classroom’’ experiments that when teachers expect more from students their achievement goes up, and the reverse is true as well. When students are excluded from regular classrooms and placed in enclosed ‘’special ed’’ classrooms, the potential for stigmatization, ridicule, and self-condemnation are heightened, and teachers tend to treat these students as less able compared with so-called normal children. In an inclusive classroom, children with disabilities have the opportunity to experience what it’s like to be considered normal enough to learn in a regular classroom environment, they are inspired by the positive performances of their peers, and they rise to the higher expectations of their teachers. 5. Students with disabilities challenge us to provide better ways to educate ALL kids. To create an effective inclusion classroom, educators need to build a learning environment that provides a variety of ways in which learning content is represented, engaged with, and assessed (see below for some suggestions). This process benefits all learners, not just those with disabilities, since research reveals that all children have different ways of learning. 6. Children with disabilities’ brains develop stronger neural connections in a richer learning environment. Studies with rodents done in the 1960’s at the University of California, Berkeley, revealed that rats living in a richer and more ‘’inclusive’’ environment (more social interaction, more physical exercise opportunities) had more dendrites or branches extending out of neurons or brain cells and connecting with other neurons than rats in a more ‘’excluding’’ or isolated environment. Since that time, research has extended this understanding to humans, particularly in the newly emerging field of neuroplasticity. Young children are in a sensitive developmental period with regard to their openness to neural imprinting from external stimuli, thus all children, including those with special needs, benefit greatly from an optimal learning environment. Inclusive educational practices will not succeed unless educators are willing to put the time and effort into creating such optimal classroom settings. Most important in helping to accomplish this aim is finding out as much as possible about the strengths, talents, and abilities of the children with disabilities who will be included in the mainstream environment. In my book Neurodiversity in the Classroom, I’ve provided a 165-item checklist that offers an exhaustive list of positive abilities that can be surveyed in assessing these capabilities. When a regular classroom teacher perceives the child with special needs coming into her classroom as an asset, the teacher’s willingness to work hard to help her succeed will be greater than if she perceives that student as a liability who will only add to her burdens in the classroom. Once a list of strengths have been identified for the child with disabilities, the educator must go to work developing learning strategies that help the student succeed academically, behaviorally, and socially. So, for example, if a student with an autism spectrum disorder has an absorbing interest in a specific area of knowledge (as many students identified with ASD do), then providing time during the classroom day for the student to share that interest with classmates (during, for example, a sharing time) will help him develop much needed social skills. Or, for a student diagnosed with dyslexia who has strong spatial/artistic ability, giving him an opportunity to represent what he’s learned in a subject area by drawing it, doing cartoon panels, creating a video, or creating a photograph montage accompanied by written captions, will help him confront his writing difficulties in the context of an activity he regards as basically enjoyable and interesting. Another important component that can help students with disabilities succeed in the regular classroom is the judicious use of new technologies. Students who have communication or articulation difficulties, for example, can use an augmentative or alternative communication application such as Proloquo2Go, which translates icon-labeled buttons related to specific needs and requests (e.g. ‘’I need to go to the bathroom’’) into synthesized speech with the push of a button. Similarly, children with sight impairment can make use of apps that translate text on the computer screen into the spoken word (for example, Google Text-to-speech). For students who have difficulties with reading or writing, the use of speech-to-text software (like Dragon Naturally Speaking), can help bridge the gap between oral language strengths and written language problems. A key ingredient in the success of any inclusion program must involve addressing the social environment in the classroom. Teachers should learn how to draw sociograms for each child (or at least each child with a disability), indicating positive friendships, antagonistic relationships, and potentially supportive connections, both inside and outside of the classroom. In this way, for example destructive relationships can be identified (such as an intimidating bully) and dealt with (through an anti-bullying program). Similarly, potentially constructive connections (such as a ‘’buddy’’ from a higher grade) might be established. The focus needs to be on maximizing the student’s positive interpersonal contacts each day while minimizing negative interactions. As the United Nations charter makes clear, reasonable environmental modifications should also be made as a component of inclusive classroom program implementation. This may involve ramps and other ease-of-access modifications for the physically disabled child (for example, the opportunity to do art work on the wall or an accessible table, as opposed to the floor, for the child who uses a wheelchair). For the child diagnosed with ASD who has acute sensitivities to sound, headphones that block out extraneous noises might be indicated. For the child diagnosed with ADHD, sitting on a stability ball rather than a chair may calm the student down and focus his attention. Each of these modifications can be made without undue expense, extra training, or major difficulties in implementation, and they can make marked positive changes in behavior and academic achievement. Finally, the presentation of positive role models with disabilities and a focus on positive careers tailored to the strengths of people with disabilities, represents an important all-class solution to normalizing the experience of being different, an attitudinal modification that can have powerful effects on the behavior and achievement of all students, but particularly those with disabilities. As students learn about great individuals with disabilities such as Stephen Hawking or Frieda Kahlo (physical disabilities), Temple Grandin (autism spectrum disorders), billionaire businessman Richard Branson (dyslexia), and Chris Burke (a television actor with Down syndrome), or learn about successful people in their local community who have disabilities, they begin to understand that disabilities don’t define the totality of a person but rather represent only one aspect of their lives and are less important in many ways than their strengths, wishes, preferences, and interests. If exclusion is a painful experience, then inclusion is, conversely, a delightful experience. The United Nations convention recognizes this basic human truth when it says that all people deserve to be included in the social institutions of culture. This is especially true when it comes to early childhoood education when students are just beginning to form ideas about social roles and cultural norms. If we represent to these kids a model of society that regards people with disabilities as ‘’strange,’’ ‘’pitiful,’’ ‘’weird,’’ or ‘’ludicrous,’’ and excludes them from its daily affairs, then we are laying the foundations for a future culture that rejects new potentials for change. On the other hand, by practicing full inclusion in the classroom right from the start of a child’s schooling experience, we’re helping to form attitudes of acceptance, tolerance, generosity, and human possibilty that will resound for generations to come. The statistic on children with disabilities who are excluded in Latin American comes from the Inter-American Development Bank, ‘’10 Myths about Students with Disabilities in Latin America,’’ retrieved from: http://www.iadb.org/en/topics/education/10-myths-about-students-with-disabilities-in-latin-america,7494.html. Article 24 is referenced in United Nations, ‘’Convention on the Rights of Persons with Disabilities,’’ UN Web Services Section, Department of Public Information, 2006, retrieved from: http://www.un.org/disabilities/documents/convention/convoptprot-e.pdf. For more information about strengths associated with disabilities, see my book The Power of Neurodiversity: Unleashing the Advantages of Your Differently Wired Brain, Cambridge, MA: DaCapo/Perseus, 2010. The teachers from the Smithsonian Early Enrichment Center in Washington, D.C were quoted in Richard Roy Grinker, Unstrange Minds: Remapping the World of Autism, New York: Basic Books, 2007, p. 125. For more information on how teacher expectations affect children’s performance in the classroom, see Robert Rosenthal and Lenore Jacobsen, Pygmalion in the Classroom: Teacher Expectation and Pupils’ Intellectual Development, Carmarthen, United Kingdom: Crown House Publications, 2003; and P. Paugh and C. Dudley Marling, ‘’Special deficit into (or out of) existence: How language constrains classroom teachers’ knowledge about instructing diverse learners.’’ International Journal of Inclusive Education, September, 2011, vol. 15, no. 8, pp. 819-833. An excellent online resource for the use of technology tools that differentiate, see the National Center on Universal Design for Learning, http://www.udlcenter.org/ . See my book Multiple Intelligences in the Classroom, 3rd ed., Alexandria, VA: ASCD, 2009. One of the principal investigators in neuroplasticity research has written a wonderful book on stimulating learning activities for children: Marian Diamond, Magic Trees of the Mind: How to Nurture your Child’s Intelligence, Creativity, and Healthy Emotions from Birth Through Adolescence, New York: Plume, 1999. On neuroplasticity and children, see Gottfried Schlaug, Marie Forgeard, Lin Zhu, Andrea Norton, Andrew Norton and Ellen Winner, ‘’Training-induced Neuroplasticity in Young Children,’’ Annals of the New York Academy of Science, July, 2009, vol. 1169, pp 205–208. For more strategies on including students with special needs in the regular classroom, see Thomas Armstrong, Neurodiversity in the Classroom: Strength-Based Strategies to Help Students with Special Needs Succeed in School and Life, Alexandria, VA, 2012, pp. 146-154. For information on using stability balls to improve attention in the classroom, see Anca Gastona, Sherri Mooreb, and Leslie Butle, ‘’ Sitting on a stability ball improves attention span and reduces anxious/depressive symptomatology among grade 2 students: A prospective case-control field experiment,’’ International Journal of Educational Research, 2016, Volume 77, pp. 136–142. For more information on helping kids with special needs be successful, see Thomas Armstrong, Neurodiversity in the Classroom: Strategies to Help Students with Special Needs Succeed in School and Life. Visit my website at: www.institute4learning.com. Thanks for the scholarly work you are doing on Early Childhood Education particularly on inclusive quality education for children with disabilities. I will be glad to consult you on several issues in this regard . we are establishing a One-stop-center of Special Needs Education for a cross -section of disabilities in children ( 3-18 years ). We are passionate about UN article 24 on rights of children with disabilities and SDG4.I am writing from Uganda,in East Africa.